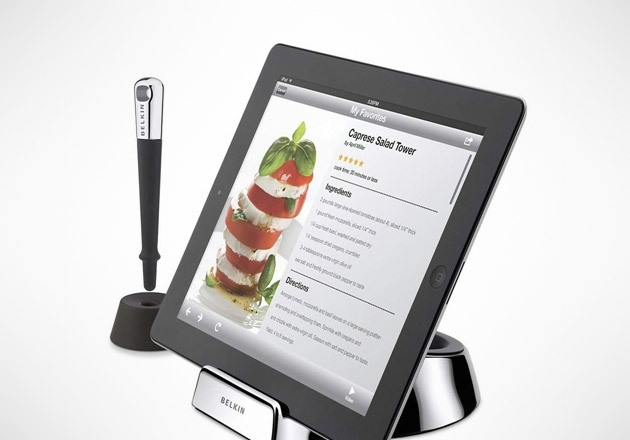 The Belkin Chef Stand ($40) is the perfect addition to any iPad for use in the kitchen. This chef stand will streamline your cooking experience by keeping your favorite recipes on your mobile device close at hand. It features a non-slip rubber base, dual angles for easy viewing on kitchen countertops, and an included stylus with a magnetic tip, which eliminates the need to touch your screen with messy hands and fingers.